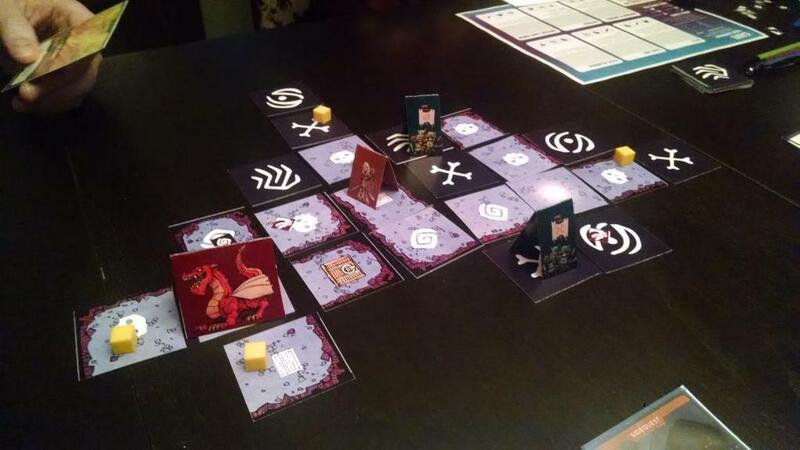 I recently sat down with local game publisher Patrick Leder, who’s currently working on a new asymmetric dungeon crawler entitled Trove: The Crystal Caverns, to find out what it takes to come up with a new and unique board game. I asked him a lot of questions and took a lot of notes, and our conversation flowed back and forth with a lot of fun. I could tell right away that he is a passionate gamer. For those of you who know what you like but aren’t as familiar with terminology, an asymmetric game is on in which each player has different strategies and goals for winning. If you put this into a dungeon crawler like Trove, it means that each player takes on a different characters: one person gets to take on the brave knight, while the other characters are filled in with a goblin horde, a dragon, and even the cave itself. D&D, for example, generally has all player characters working towards a specific goal while the dungeon master controls the action and sets the story. Co-op games, such as Castle Panic, have all of the players working to defeat the game itself. 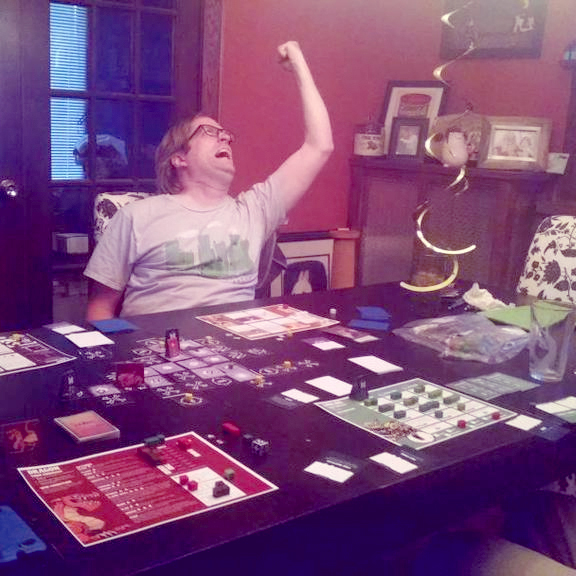 With four players, each having their own goals, I asked him whether you needed to be a gaming genius to play. Luckily, according to him, “It’s actually a very simple yet elegant game. A player of various degrees of skill can add to it. It can be consistently challenging and fresh and new. You can draw from your experience previously playing the game, but playing different characters adds to the freshness.” So it sounds like regardless of skill level, you’ll be able to pick it up and have fun. The longer you play a certain character, the more strategy you’ll be able to employ, but it will also be determined by what the other players are doing and what strategies they are using. According to Patrick, “Balance is important, but we wanted to focus on making it fast, playable, and accessible first, and then balanced.” Most importantly, in all the testing, each role has about a 25 percent chance to win. The original concept for the game came from the mind of Washington, D.C., creator David Somerville. He found Leder Games via that wonderful gaming website BoardGameGeek. 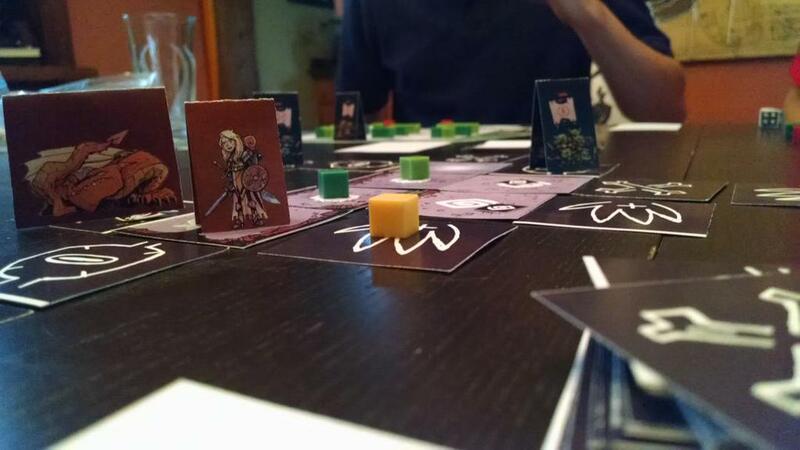 In the forum threads, David had been playtesting a number of pen-and-paper versions of the game for which users could download and print the various pieces and rules and provide feedback. After a year of doing this, David was looking for a publisher to take the game to the next level and get physical copies into gamer hands. However, he found that all the major publishers only wanted games that were ready to go and didn’t want to playtest and refine things. 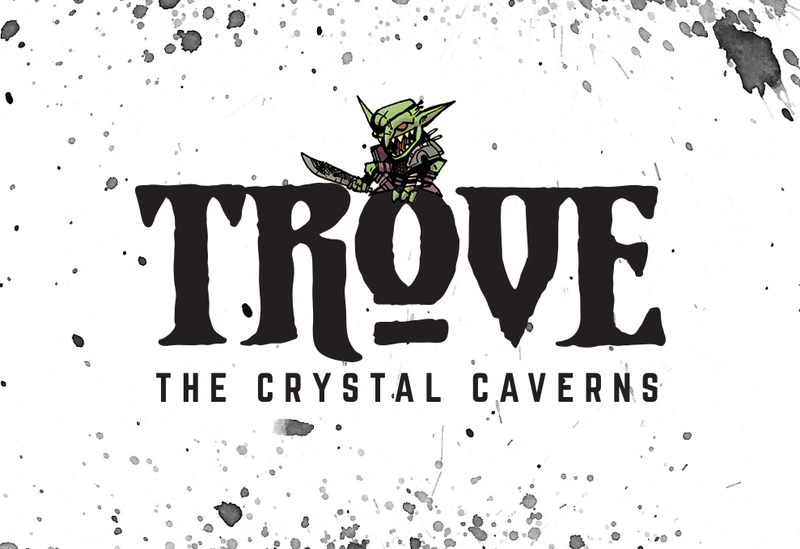 For those of you who are going to be at CONergence, I convinced Patrick to let me and some friends playtest Trove: The Crystal Caverns ourselves, and you’re more than welcome to join us! We are meeting at 6:00 p.m. Friday, July 3, on the gaming floor of the DoubleTree, and from what I understand, game time is about 90 minutes. Patrick will also be demoing the game at Gen Con in Indiana starting on July 30. He really wants to get the game into folks’ hands so that they can see how fun it is and drum up grassroots word-of-mouth interest for the Kickstarter. If you want to read through the history of the initial playtesting, you can find the original thread on here on BoardGameGeek. It’s really interesting to see how it started and where it is now. If you’re interested and want to try the game and/or talk to Patrick, feel free to swing by! I had a fun time playing this at ConVergence. Luckily Patrick was there to help us with some of the rules, otherwise I would have been a little confused as a beginning gamer. But he assured me that would be taken into consideration when he updated the rules. I think once you get past a couple of games it can become really fun. 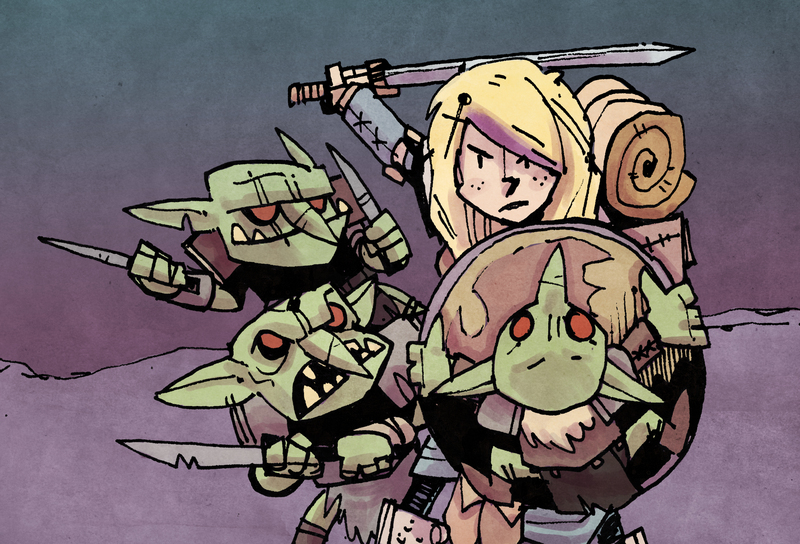 I will be backing the Kickstarter and look forward to introducing more friends to it when it is finished.